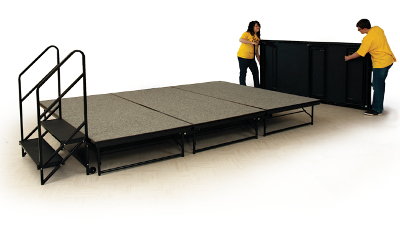 Portable Stages » Royal Stewart Ltd.
Why don’t you sit down and stay awhile? Royal Stewart is dedicated to making sure spectators enjoy their seating experience as much as they enjoy watching the game or performance. Having the right stage will literally elevate any recital or routine practice so the whole audience will enjoy the show; and above all, our staging systems are easy to set up and take down. While there are plenty of options to consider, we would never ask you to sacrifice visual appeal. 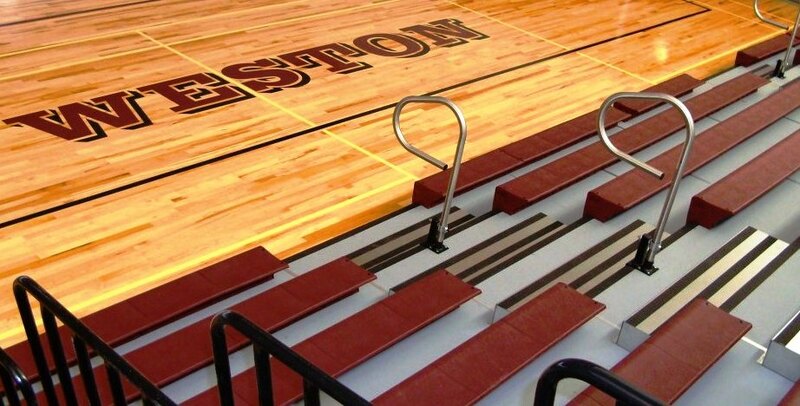 Instead we will work with you to develop the perfect stage from the ground up, and up, and up. Our drapery will ensure that what goes on behind the scenes, stays behind the scenes. Black is the standard color, although there are others available, and we use only fire retardant drapery for our staging front curtains, stage skirting and staging backdrops. Drapery helps provide that extra element of professionalism and eliminates any unwanted distraction above, below or behind the stage. Whether you need a flexible foundation, a more narrow set up for tight spaces or a single height stage, we will make sure you leave feeling informed and satisfied with your decision. You can be certain that you are getting a lightweight, yet strong and durable product. Affordability, flexibility, style, and convenience are the name of the game with our variety of stage set-ups. As the performer, you will have room to move around onstage, hold your sheet music without bumping elbows and take a spacious bow once the show is over. Ready, set, stage!